One of our favourite FMCG PR clients, Oven Pride asked us to get to work raising awareness of the link between Easter, Spring, and its oven cleaner – remembering the brand’s tongue-in-cheek tone of voice – in turn driving sales. 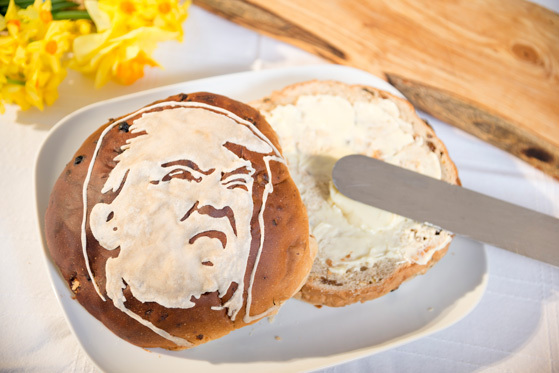 We jumped to social media, and looked to the then-new US President for some witty, and tasty, inspiration, winning a CIPR PRide award in the process. One of our favourite FMCG PR clients, Oven Pride, wanted to tie-in its oven cleaner with Easter, cementing the relationship between spring and cleaning, not to mention big family meals and dirty cookers, whilst also showing off the brand’s cheeky sense of humour. Naturally, then, we were called to action, with the overall goal of driving sales during one of the most important periods for the company. We recommended a social media-led campaign, which would give us more control over messaging and targeting, with additional editorial outreach also included in the mix. Understanding that 67% of people hate cleaning their oven- the most loathed of all household chores- the idea was to link Oven Pride to something that many people do enjoy. After conducting research, we learnt that Hot Cross Buns are one of the most popular edible items during Easter, which, handily, also require and oven to prepare. Video and imagery were to form the core of the social campaign- two assets we already knew command high engagement levels. 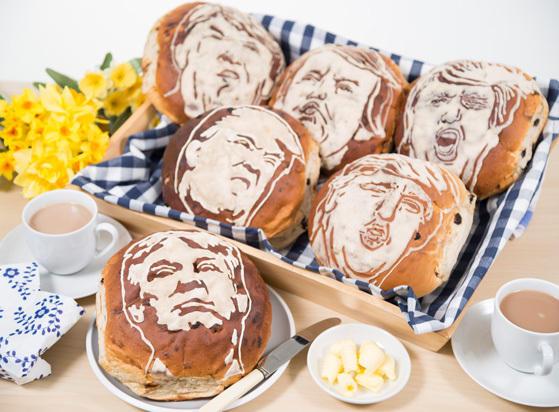 The campaign was beginning just months after the inauguration of US President Donald Trump, so we opted to work with a food artist to create Hot Cross Trump Buns, fitting in with Oven Pride’s tongue in cheek social tone of voice. Once the amusing treats were produced we photographed them in classic Easter situations, juxtaposing humour with tradition. These were then shared to core audiences on Facebook, Twitter, and Instagram from the Wednesday leading up to Easter Weekend. This was bolstered further, targeting those who both love and hate Trump via social media, pacing these carefully on Facebook to ensure maximum exposure; meanwhile on Twitter we directly tweeted celebrities with large followings- both those in support of, and critical to, the American leader. Our measurement of success was based on a comparison between 2016 and 2017’s Oven Pride social media activity. Oven Pride’s Easter campaign resulted in six pieces of media coverage, including three national hits in Metro, Daily Mail and Mail Online.